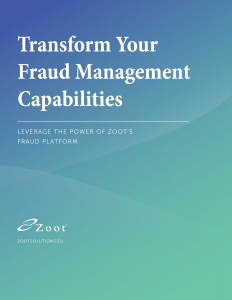 When it comes to fraud detection, Zoot understands the challenges financial institutions face – conflicting transaction systems, fragmented detection solutions, and high operational costs. It’s no surprise that effective fraud detection can transform business performance for financial services organisations. The right solution can deliver huge benefits across the business – driving down costs and risks, improving customer satisfaction and enabling innovation. 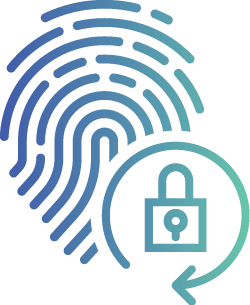 Our comprehensive solution maximises fraud detection and prevention, lowers total cost of ownership and protects the financial institution’s brand and reputation. Zoot has transformed the industry standard – basic stand-alone detection – to one of enterprise predictive risk assessment integrating big data, advanced analytics, real-time functionality and customer experience. Gain a streamlined view of suspicious activities across all products and channels to detect emerging fraud schemes and entry points. Obtain an integrated view of all fraud activity to uncover hidden trends and relationships. Identify fraud events and prevent losses through real-time monitoring. Zoot has a comprehensive set of tools with testing and editing functions that support our loan origination functions and help us achieve our business objectives efficiently. Because of our relationship with Zoot and the technology behind the scenes we have been able to implement many innovative projects related to our credit card product. Take your risk management and fraud detection to the next level.